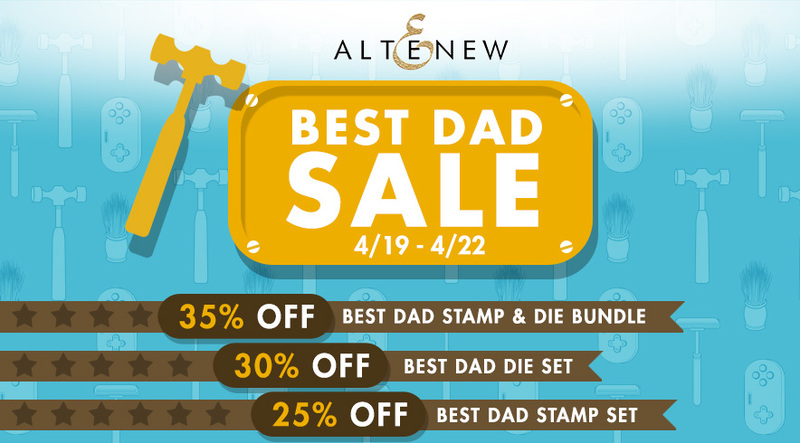 Papell with Love: Altenew - Celebrating Parents Blog Hop! Altenew - Celebrating Parents Blog Hop! 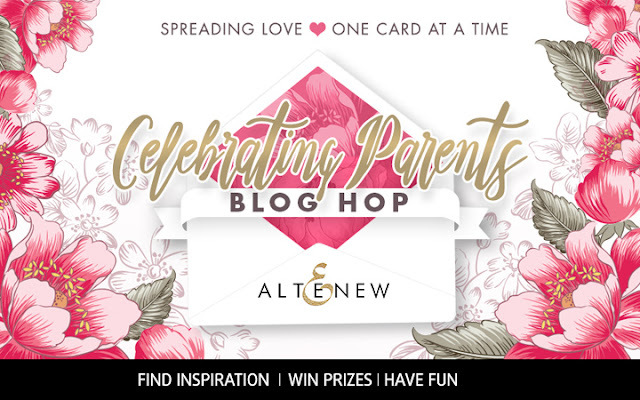 Hello Everyone, Welcome to Altenew Celebrating Parent's Blog Hop! Today I am showcasing three different projects for this event. You should have come from Altenew's Blog. For my first project I used the Best Dad stamp set and Best Dad Coordinating die set. To begin, I first distressed my white card panel with Papertrey Ink Premium Dye Ink in Harvest Gold, Orange Zest, and Spring Moss. Then added some gold splatters from Gansai Tambi Starry Colors. Next, I stamped my images from Best Dad stamp set, colored them with Copic Markers and die-cut with Best Dad Coordinating die set. Then, I adhered all the die-cut images with foam tape and stamped the sentiment from the same set to finish this card. For my second card, I used the Best Mom stamp set and Best Mom Coordinating die-set. To begin, I first distressed my white card panel with Tim Holtz Distress Ink in Tattered Rose and then splattered it with gold paint from Gansai Tambi Starry Colors. For my flower image, I stamped it three times and die-cut three times as well. I then made a flower wreath after die-cutting. I adhere the flower wreath with foam tape for dimension. Next, I colored my strip of white cardstock with the same color that I used for the flowers. Then stamped the sentiment from Best Mom stamp set with white embossing powder and then heat set with heat tool. Then finally added some Pretty Pink Posh Sparkling Clear sequins to finish off this card. For my final card I used the Extra Special stamp set only. I made a simple one layer card. First I stamped the images from Extra Special stamp set and colored it Copic Markers. Then, I splattered again with gold paint from Gansai Tambi Starry Colors. To finish off the card I added some Pretty Pink Posh Sparkling Clear sequins for added interest. 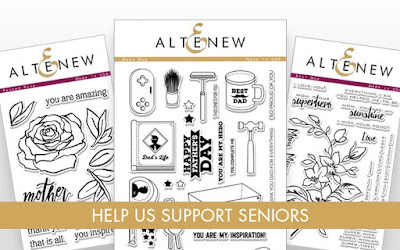 Altenew is giving away $50 gift certificates to THREE lucky winners. Be sure to leave comments by Sunday, April 30th, 2017 at 11:59 PM EDT for a chance to win! Winners will be chosen at random from the comments left on any of the blogs listed below and will be announced on the Altenew blog on May 2nd, 2017. 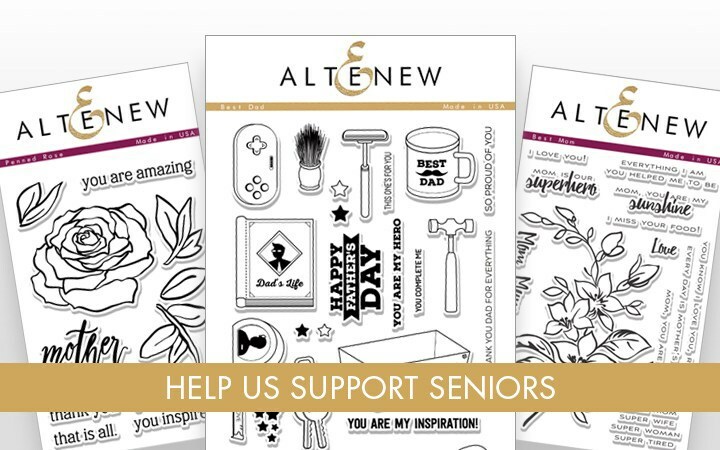 You may also leave a comment on my Blog for a chance to WIN a $30 gift certificate at Altenew Store by Saturday, April 29th,1:59 PM EDT and I will pick ONE Random Winner and announce it on May 1st here on my blog. Celebrating Parents stamps 20% of the profits earned from these stamp sets (Best Dad, Best Mom, Penned Rose) by 6/18/2017 will be donated to Food Bank of Central New York to support seniors in need. Beautiful cards. I love the Father day card. Thanks for sharing. I am absolutely BLOWN AWAY by your gorgeous lineup! I cant even pick a favourite because they all are my favs!! Great cards!! Thanks for the wonderful inspiration!! Love your Father's Day card and the Mother's Day and Friend cards are gorgeous! Thanks for sharing! Love your cards! great colors and detail! Wow!! Beautiful cards!!! 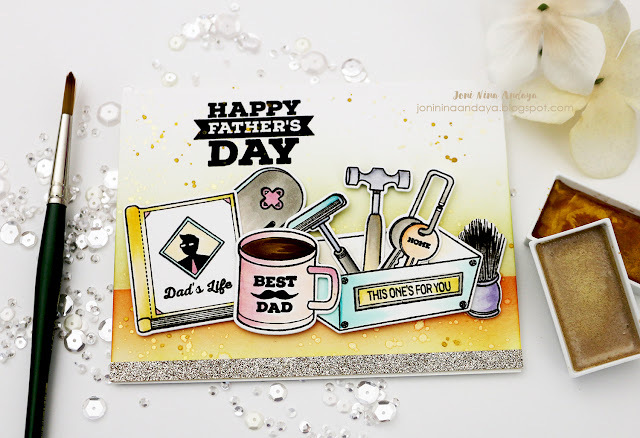 I love the layout and background of your father's day card. The coloring is just awesome! The mother's day card and friend cards are just Beautiful. I love the gold paint splattered in the background and the touch of the sequins really do add to them. Oh my gosh! Your cards are stunning, Joni. I am in love with your florals and what a totally fabulous take on the Best Dad set. great cards. I really like the floral card. Your "Dad's Day" card is SO cute! I love it. And your Mother's Day card is simply gorgeous with beautiful colors. I don't have a die cutting machine but that's next on my Wish List! Beautiful cards! Thanks for this fabulous inspiration! Beautiful coloring and beautiful cards. I love all the cards, especially the coloring! Once again, I am overwhelmed by the work you do! These cards are beautiful! Such an inspiration. Wow! All three cards are gorgeous! Love the colours and how you've used the stamps. love all your cards,Joni - the background on the "dad" card is great and the "mom" cards are just so lovely! absolutely love these....the colour combos really catch my eye! What an awesome cards, love the colours you used and also the card designs! Great cards! I especially love the yellow flowered one. so soft, subtle, and sweet. Beautiful cards. Love the details. Wonderful cards...love the Father's Day card! I love these cards! Your father's day card is so well colored and sweet! And your two floral cards are just stunning! Especially love how you arranged all the cut out flowers, just beautiful. Love your cards! Fantastic inspiration! Al the cards are so pretty,simply love them al! Your cards are gorgeous. The gold splatters are a great touch. I just love all your cards today! Great designs - thank you! A wonderful trio of cards. The Dad's day card is exceptional. Beautiful cards. I love your coloring and the small details you add. I am so happy I found your blog. I will be returning for more inspiration. Your cards are so beautiful! Lots of work put into these cards but worth the effort! Love! Love all of these cards. The bit of colour behind the Dad items is just right on the first card. I love your cards. The mother's and friend's are so pretty and the dad's is so cool. 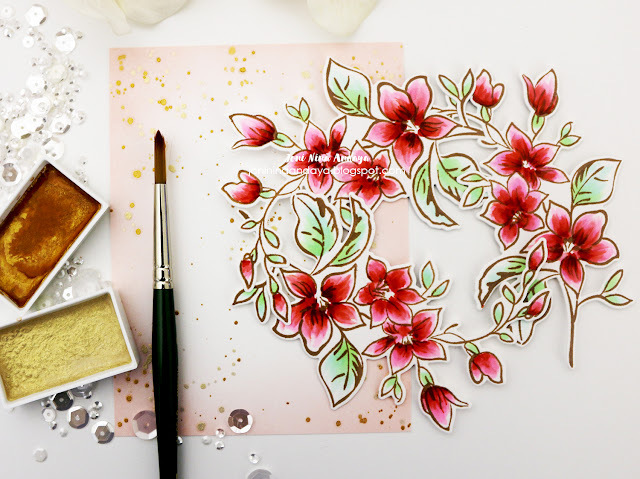 Wonderful flower cards - beauteous! 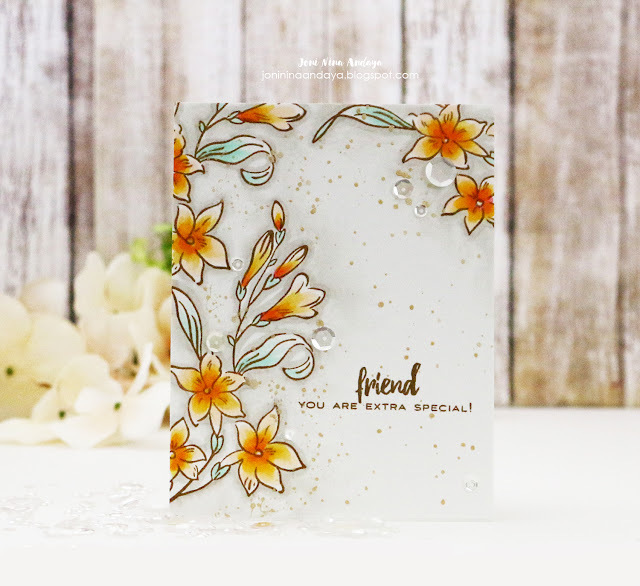 Your card designs are simply gorgeous!!! Wow! I liked the fathers day card and then I saw the mothers day card, GORGEOUS! !I love the color of red with the pink and the red paper for the sentiment, awesome. Liked the friend card too, but my heart goes to the Mothers day card for sure. Thank you for the wonderful inspiration. Your cards are lovely. Need to get the stamps sets and give them a go. What great products and lovely samples. So wonderful to see so many masculine cards for a change@! I like the Father's Day card because it's fun and bright. And I love the Mother's Day card because it's delicate and dainty. Great job. Beautiful cards! Especially love the vibrant reds and pinks wreath on your Mother's Day card. I love your cards. I especially love the Fathers Day card. 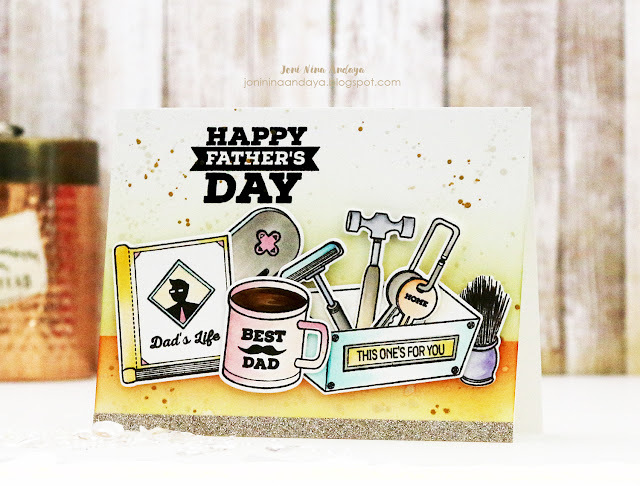 Of course I love the Dad's card but that Extra Special stamp set has the best Name .... it truly is Extra Special and I love the Mom and Friend cards. So lovely and your coloring is gorgeous! Thank you for sharing your beautiful trio of cards. Great cards. Would not have thought of using pastels on Dad's card. The flowers were gorgeous. Ordinarily I am attracted to stamps with larger floral images, but what you have done with the Best Mother set is just wonderful! It will be a must-have! Wow! Love these cards. Such pretty colors and so detailed. Even the one layer card is gorgeous. Joni, these stamp sets are fantastic as are your cards. 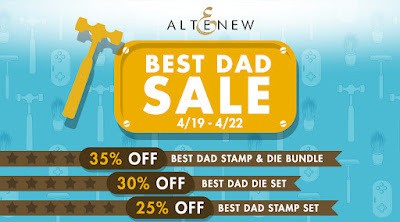 The Best Dad set is awesome and the Best Mom set is beautiful as are all of Altenew's floral's! Well done! Your cards are stunning! I love hoe you made a wreath out of the flowers and whats not to love out of all of them. Very pretty! Thanks for these lovely cards. They are so inspiring. Love the images you used on all the cards! Your work are beautiful and fun ! Really like the father's day card. I'm always looking for masculine card ideas. Your TOOL Tabletop is fabulous!! Beautiful Mother's cards too! LOVE all 3-especially the father's day one-Man cards are so hard!!! Cute cards love the blog hop. I always enjoy seeing your beautiful inspiration!! Your Father's Day card is adorable. I love the vibrant red in your Mother's Day card. Very nice. Thank you. Amazing cards as always Joni! Love them all! Thanks for all the fabulous inspiration and for doing this hop to help seniors in need, you ladies rock!! It seems wrong to call a Father's Day card "cute" but I think this one is cute! Your cards are fabulous. What awesome coloring. Wonderful cards! Men's cards are so hard to challenging for me & your Dad's card is awesome. I love the floral cards also. Thanks so much for sharing. Wow, they are so cute love them all. Woderful cards. Love your layered florals card. Such vibrant colours! Fantastic cards. Wonderful colouring. When I looked at your extra special card I thought the flowers were popped up. Great shading. You've done an amazing job on your cards! I especially love the "best dad" set. Beautiful cards! Your work is stunning! Your cards are all beautiful! I love the cards. You can never have enough flowers. The Father's Day card brought a smile to my face. I like them all, but I am always drawn to florals first! If I win, maybe I should buy the other set as there are two very important men in my life! Love that you created a wreath on the friend card--good reminder to look at what I do have differently! Very nice father's day card - I love the shading in the background, and the floral cards are gorgeous! What a beautiful trio of cards! They are sure to bring a smile to the recipients face! I really love the "Best Dad" stamp set! Must add it to my stash! TFS! 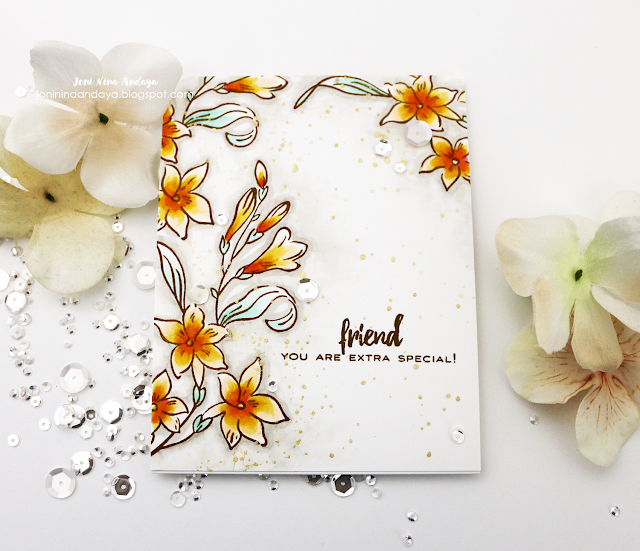 Love the extra special stamp set "friend" card - love the colors ! Gorgeous cards. Thanks for the ideas. These cards are awesome!! I really love the Mother's Day card; the flower wreath is soooooo pretty! FANtastic cards! The floral wreaths are amazing and the first card with all the Dad elements colored so amazingly. Terrific! Love the awesome coloring on all the cards! The designs are just as awesome!! The Dad card is so fun and your floral card designs are just gorgeous!! The splattered look is on trend now. I don't know why but it intimidates me. These cards are beautiful, specially the one using the Extra Special stamp set. Even without any layers, it is still very striking. I love your coloring! Stunning creations!!!! I love the first card! Fantastic cards!The colors are trully amazing!Love them! Great cards! 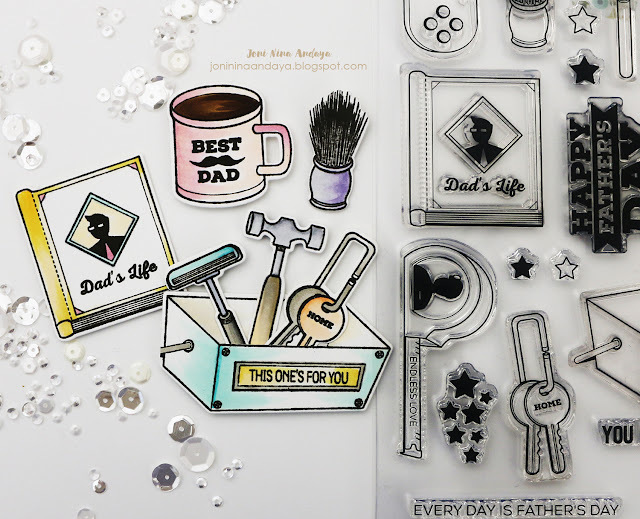 I love that Dad stamp set - so many great images! seems like I love all thing altenew- this give-away is no exception!!!! Beautiful floral cards and I like the coloring and touch of gold on the first card. What beautiful cards. Thanks for the inspiration! What delightful and inspiring cards! Thanks for the ideas! wonderful cards. 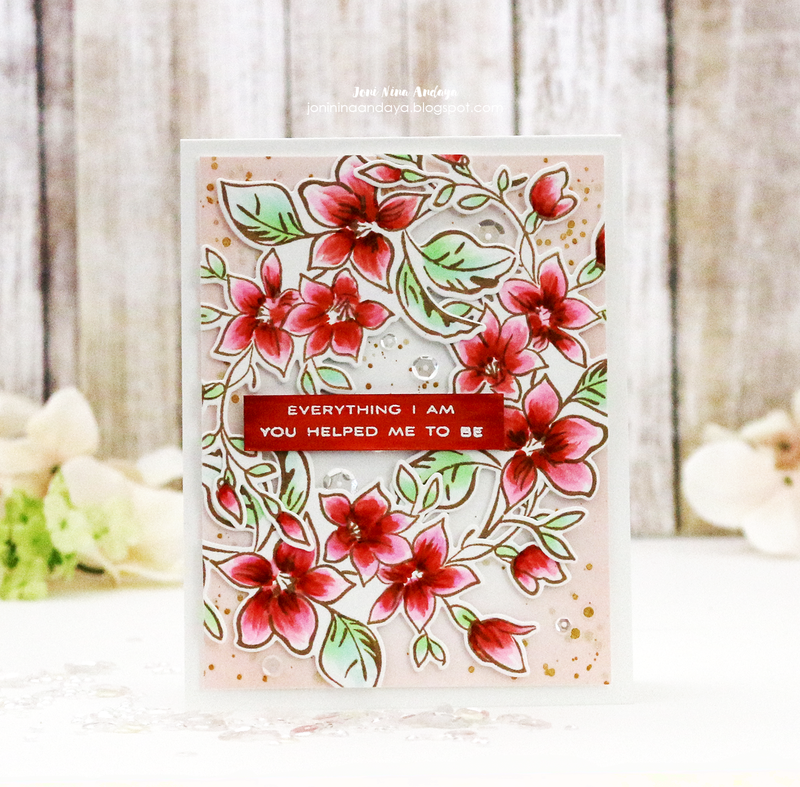 Love the cluster of images on the first card and the floral blooms on the others. Oh goodness, what amazing cards! Love the vibrancy in each of these, and the designs are spectacular! luv the backgrounds! a great complement to your focal images! Beautiful cards. I especially love the second with its bright blooms. Great cards! The Altenew sets are so clever! Thanks for sharing your creativity! Your cards are great. I particularly like your third card - lovely and simple and simply lovely. Fabulous cards with these awesome stamps! Love the coloring and details! Lovely cards! The Father's Day one is my favourite! Beautiful cards! You so perfectly highlighted the images with your fabulous coloring skills. You make magic with color!! Love the red floral! Beautiful cards! I love the sentiments. Beautiful colors! Wow! Beautiful cards and love the coloring!! LOVE your masculine scene, ADORE your inky florals - WOW! Cute cards! I especially like the Father card. So very lovely!!! 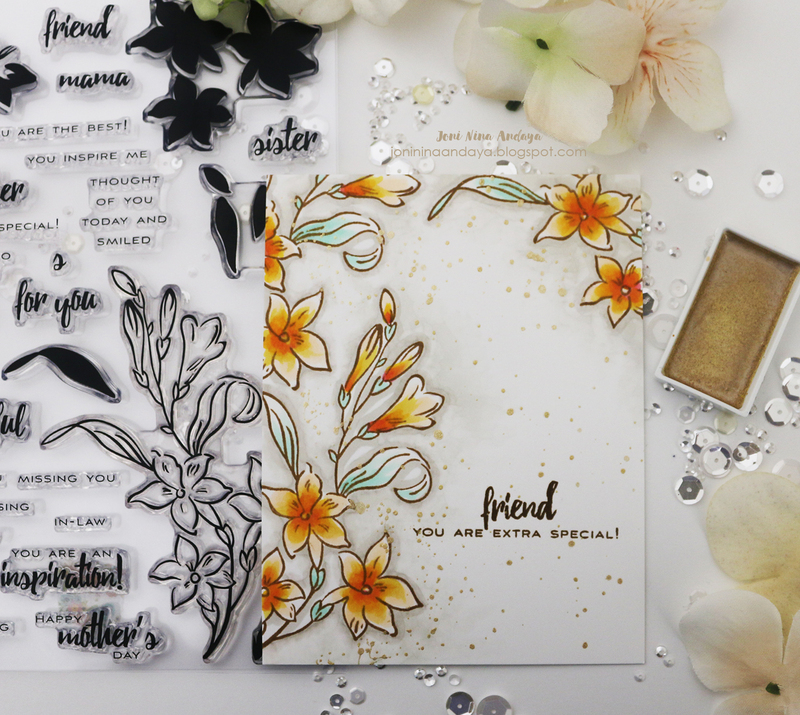 I especially like the friend card! Fantastic inking on the dad card. I love the softness of the coloring of the elements and I really love the florals and the placement on each of them! These cards are so beautiful! Great colors and I really love the cards with the flowers. Gorgeous. Oh my goodness, Joni, your cards are amazing! 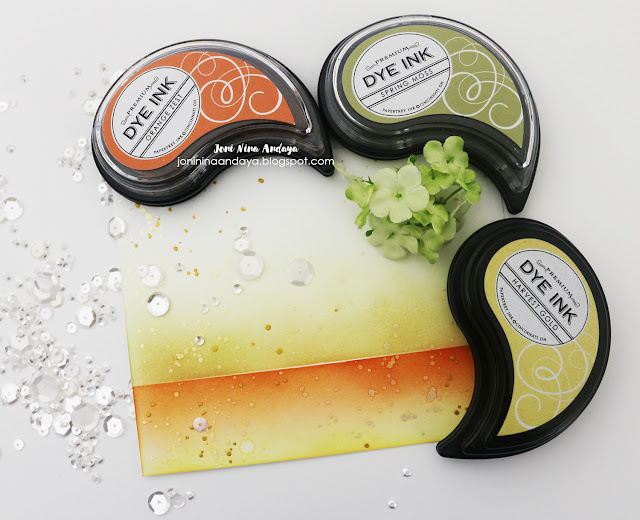 I just love the way you used these stamp and die sets - And your coloring is fabulous! Great color choices, too! but my favorite was for the fathers. I saw the first one and said "I love it", I saw the second, the same, and the third, the same. Gorgeous cards. Such beautiful cards. I love those watercolors! I adore your work Joni so much! Beautiful cards!! I love those flowers, so many possibilities. All the cards came out fabulous. Thanks for sharing!